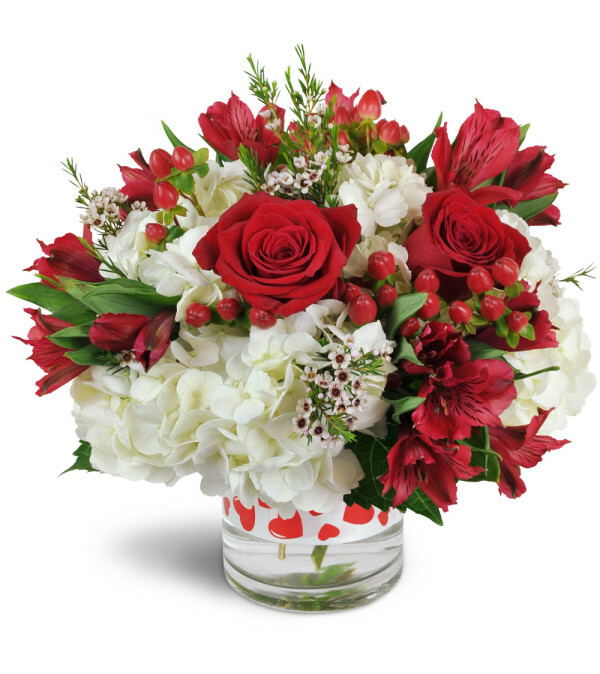 This classic red and white arrangement is the perfect way to let her know your love will never fade. 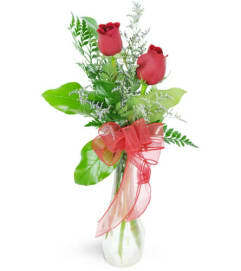 Perfectly sweet - a delightful treat for any special occasion! Featuring delicate white hydrangea and deep red Peruvian lilies, accented with waxflower, ribbon, and more! 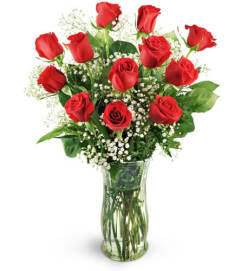 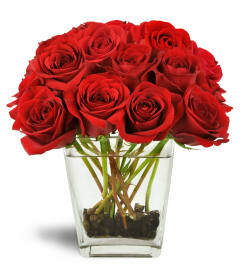 Upgrade to Deluxe or Premium to add stunning red roses.